The photograph illustrated was recovered from a poor-quality glass negative, digitally converted and enhanced. 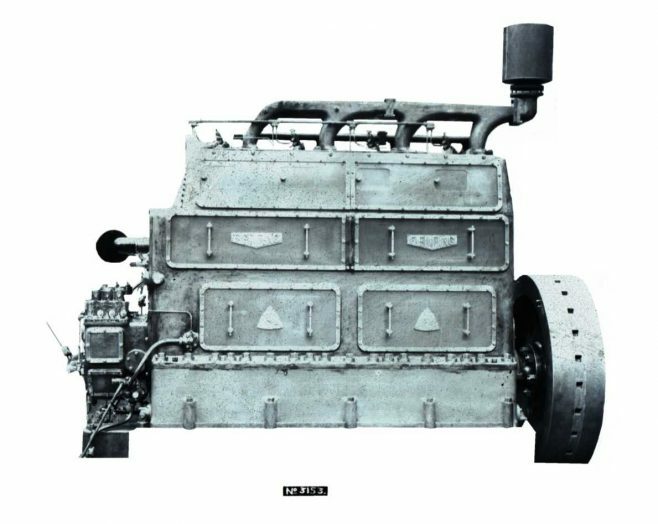 John, I am still hoping that some day I will hear of one of the vertical diesels still in existence because I have been looking for one now for more than 30 years when I started putting together the register of Fielding Engines which are still in existence. I feel sure that there must be some somewhere because I have been told that they were and brilliant engine.